The canoe slips gently from the ramp into Serpentine Creek ripples. Outdoor education graduate Kerrie Jennings is on rudder duty at the back. She’s also tasked with calling instructions to a paddler who’s not been in a canoe since Wet Wet Wet was in the charts. High school camp, 1994. Chris Townsend paddles a snap happy photographer. Graduate Kerrie Jennings knows the Serpentine Creek well. I’m assured this is an all-abilities activity. 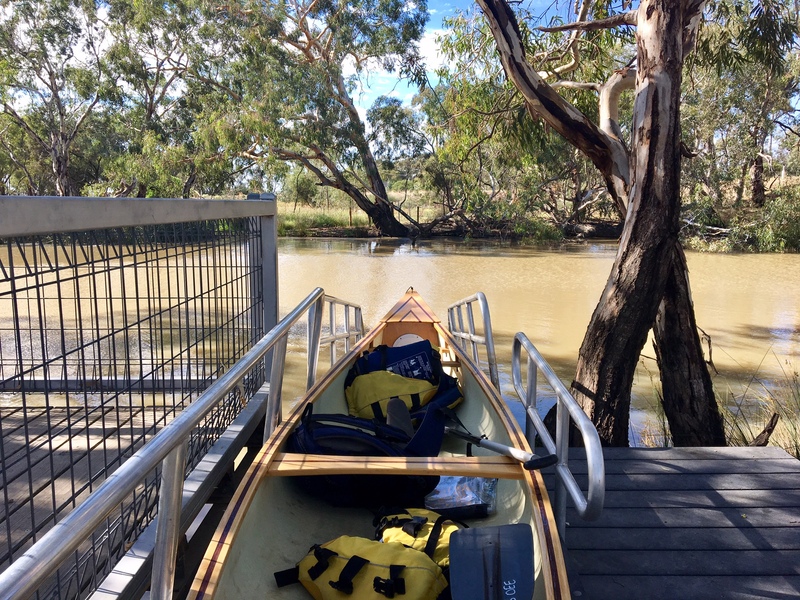 In the last three weeks alone three primary school groups have explored this place, thanks to a new dedicated canoe trail mapped out by La Trobe Outdoor Education lecturer Chris Townsend and a passionate group of students. Today’s task is to showcase the trail to some inexperienced paddlers, plus place six bright yellow buoys at points of interest along the creek. Part of the trail’s purpose is to share the historic and ecological stories of this place, via an annotated trail map that can also be read by E-devices. Marker buoys are situated at the points of interest and can be found via the map, or GPS. 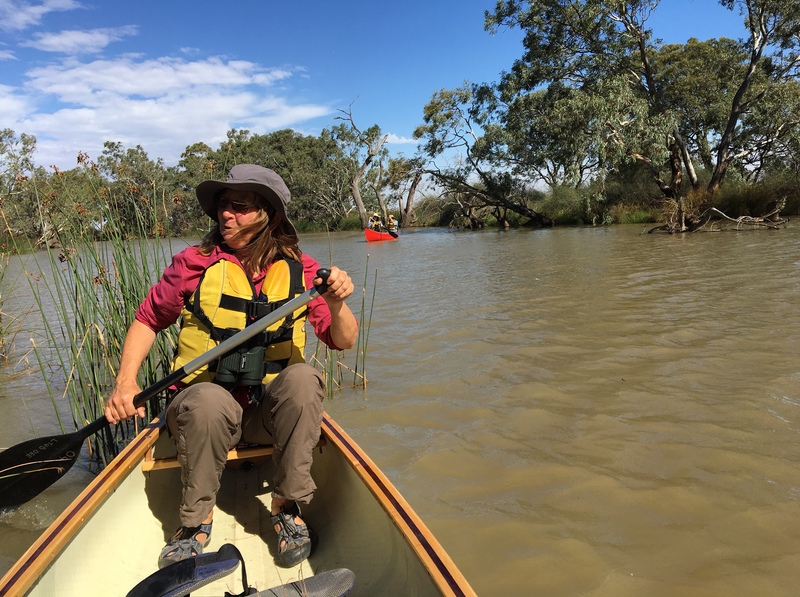 Kerrie and her fellow students liaised with the Indigenous Dja Dja Wurrung Association and Loddon historian Paul Haw, plus considered interpretation theories in choosing what to share with paddlers. Stop one being Durham Ox Inn. The top storey of the historic Durham Ox Inn peeks over water reeds. From the water the 1850s red-brick inn seems cushioned in a bed of red-seeded reeds. 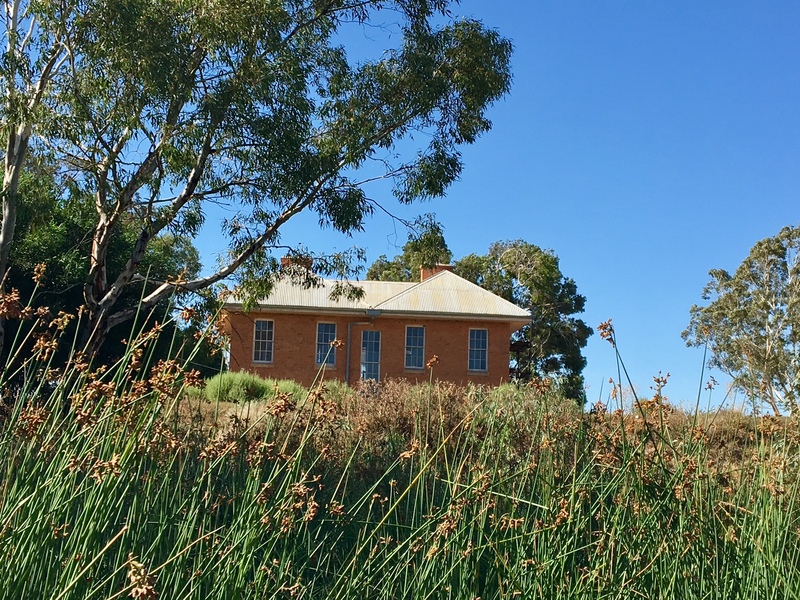 It’s believed to have been a meeting point for a Bourke and Wills search party in 1862. The experience is also about encouraging safe nature tourism for the growing number of people buying canoes and kayaks. “Canoe and kayak ownership in Australia has gone up by 250 per cent in the last ten years,” Chris says. “The majority of people explore on their own but a canoe trail can take some of the guess work out so people can have a safe experience. 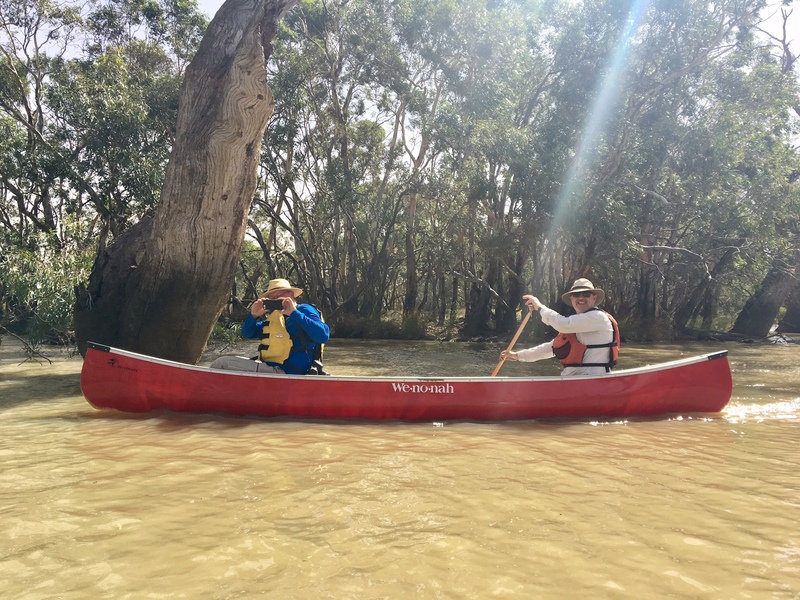 Chris’ original interest came after a visit to the Murray River at Barmah, where he saw many kayaks and very little action. The La Trobe crew has worked closely with the Loddon Shire to get the infrastructure in place here, which includes an all-abilities canoe ramp, signs, buoys and online resources. Students took the photographs and researched the stories. La Trobe graphic design alumnus Ben Gosling designed the signs. The rest is thanks to Mother Nature. Stop two on the trail is at a scar tree, a tall trunk marked with the distinctive oval ‘scar’ left by the Indigenous practice of removing the bark, yet preserving the tree. The Loddon Valley’s waterways feature the country’s largest collection. Paul says the red gum bark was used for many purposes, including carrying babies, as frames for drying possum skins and for making canoes. We paddle north-ward to find an example of the latter, but the weather has other plans. A gust whips up and the sky turns dirt brown. A growing headwind on the journey back doesn’t stop Kerrie noticing and naming the circling birds above. Chris says apart from Barmah in the breeding season, he’s never seen more birdlife than here. Today black kites and whistling kites appear dark against coffee clouds. 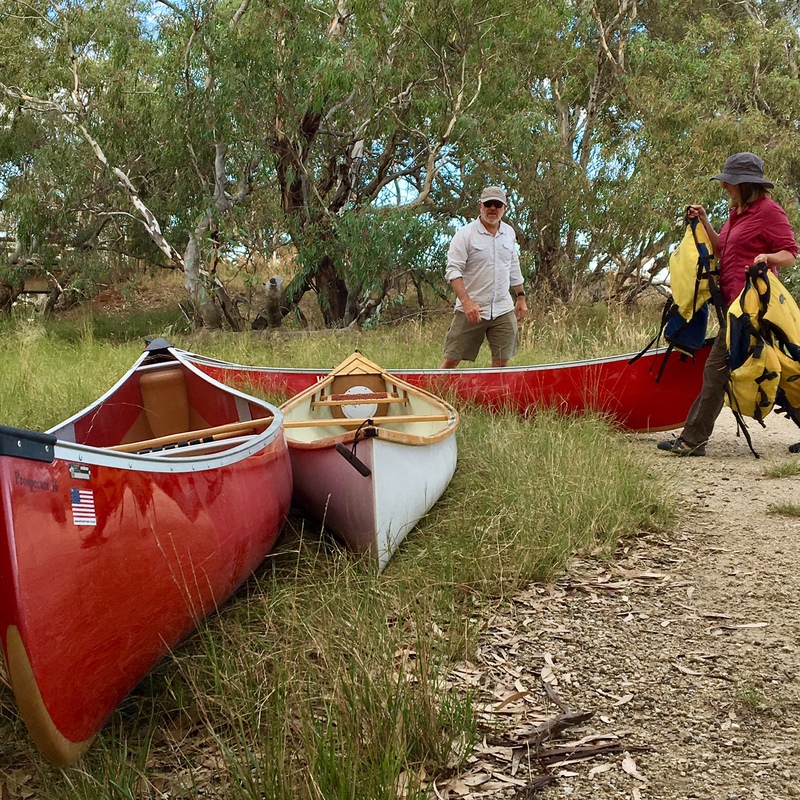 The Serpentine Creek Canoe Trail was developed with the assistance of the Loddon Shire Council, the State Government and Dja Dja Wurrung.